3-year LLB - Degree of a 3 years course with a minimum aggregate of 45%. 5-year LLB - Completed 10+2 with minimum 45%. TS PGLCET - Completed or pursuing LLB or BA LLB degree. SC/ ST - 5% relaxation. Maximum age for 3 years LL.B: The maximum age limit for a candidate seeking admission into the 3-year LL.B Course is 30 Years (relaxation by five years in case of SCs/STs and other Backward Communities). Maximum age for 5 years LL.B: For 5 year LL.B. course is 20 years (relaxation by two years in case of SCs/STs and other Backward Communities) as on date of issue of notification for the entrance examination. Nationality: Candidates who wish to appear for TS LAWCET 2019 should be an Indian National and should satisfy local/non-local status requirements as per the Andhra Government regulations. Minimum marks: Candidates must have cleared graduation degree examinations of a 3-year course (10+2+3 pattern) from any recognized university with a minimum of 45% aggregate marks (40% for SC/ST categories). If the candidate has secured less than 45% in graduation, he/she must have passed any additional graduation or postgraduate course with 45% aggregate marks. Admissions: Admission to colleges depends on its recognition/affiliation according to norms of the statutory bodies. Minimum marks in HSC: Candidates who wish to fill TS LAWCET 2019 Application Form and gain admission for the 5-year LLB course must have cleared the Higher Secondary Certificate Examination (10+2 level) from any recognized board/council with a minimum of 45% aggregate marks (40% for SC/ST categories). TS LAWCET Minimum marks: Candidates must secure at least 45% marks in TS LAWCET 2019 (42 out of 120). And SC/ST candidates should secure minimum of 40% marks. Candidates with LLB or BA LLB degree: Candidates who possess LLB or BA LLB degree (3 or 5 years) are eligible to apply for TS PGLCET 2019. Candidates who have appeared or are appearing for LLB or BA LLB final year examinations in the same year are also eligible to take up TS PGLCET. Candidates Expecting final result: Candidates can appear for TS PGLCET 2019 if they are still expecting their final year results, however, they should have passed the same before the counselling dates. what is the age restriction for the LLB 3 year program exam to apply? The maximum age limit for a candidate seeking admission into the 3-year LL.B Course shall be 30 Years (relaxation by five years in case of SCs/STs and other Backward Communities). Get more details about the eligibility criteria click on given link. I haven’t found the answer to my question in the FAQ’s related to Eligibility, what should I do? To know more about the eligibility criteria click on given link. i have compleated my MBA 2017, can i study LLB.. Candidates who wish to appear for TS LAWCET 2018 and gain admission for the 5-year LLB course must have cleared the Higher Secondary Certificate Examination (10+2 level) from any recognized board/council with a minimum of 45% aggregate marks (40% for SC/ST categories). Candidates who possess LLB or BA LLB degree (3 or 5 years) are eligible to apply for TS PGLCET. To know more about TS LAWCET eligibility criteria Click Here. What is the eligibility criteria for the three-year LLB course? 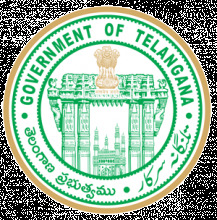 The candidates who wish to appear for TS LAWCET 2017 should be Indian Nationals and should satisfy the local/non-local status requirements as per the Andhra Government regulations. The candidates must have cleared the graduate degree examinations of a 3-year course (10+2+3 pattern) from any recognised university with a minimum of 45% aggregate marks (40% for SC/ST categories). If the candidate has secured less than 45% in graduation, he/she must have passed any additional graduation or post graduate course with 45% aggregate marks. Admission to colleges depends on its recognition/affiliation according to norms of the statutory bodies. Candidates must secure at least 35% marks in TS LAWCET 2017 (42 out of 120). There is no relaxation of marks for SC/ST categories.